Published by Algonquin Books of Chapel Hill -- and now in its SEVENTH printing! Paris Was Ours is a collection of memoirs about the French capital. 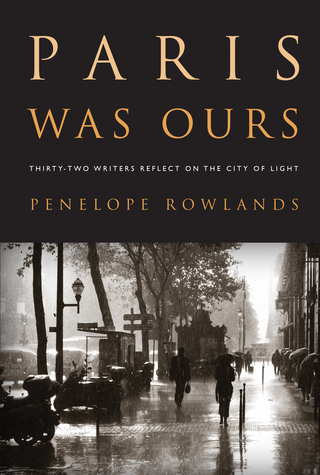 It answers the question that I, as the book's editor, asked myself when I first dreamed up the idea: Why, of all the places I've lived, did Paris affect me the most? For, although I’ve lived in half a dozen cities, this one left the deepest mark. My book is about the transformative effect of living in Paris -- “the world capital of memory and desire,” as the writer Marcelle Clements calls it so indelibly in these pages. We writers came to Paris from many directions -- North America, the Middle East, other parts of Europe -- and for myriad reasons, from learning French to attending cooking school to simply finding work. We were typically young when we did so, typically open, and the experience typically changed our lives. Some of us write about why we chose to move to the place the writer Francine du Plessix Gray has dubbed "that siren Paris." Others about what they found after they arrived. For some, the French capital could never be home; others found that they could never leave. And, for surprisingly many, this siren continued to sing to us even after we'd moved away. Taken together, these essays add up to a single, multifaceted portrait -- one that, like a cubist painting, is all the more descriptive for the disparate elements it contains. The result is a rich and complex depiction of an entrancing, at times exasperating, always fascinating place to live.